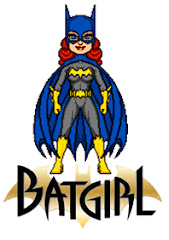 This is a model sheet of Batgirl by the great José Luis García López for the 1982 DC Comics Style Guide. 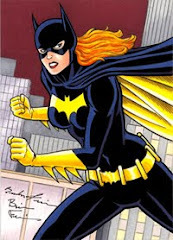 Batgirl is in reality librarian and congresswoman Barbara Gordon, daughter of Gotham's Police Comissioner Jim Gordon. Since she was a little girl, Barbara wanted to be something special, something more; and after a fateful meeting with Superboy, she realized that she wanted to be a super hero. Years later, Bruce Wayne was kidnapped by the villain Killer Moth; and Barbara, who was wearing a female Batman uniform for a costume party, decided to jump into action and rescue him. That night she became the great Batgirl. 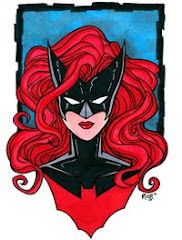 Eventually she gained the confidence and trust of Batman, who allowed her to operate in Gotham and become one of his most reliable, resourceful, and valuable operatives. This is a model sheet for the character of Shayera Hol a.k.a. Hawkgirl, for the Justice League animated series. 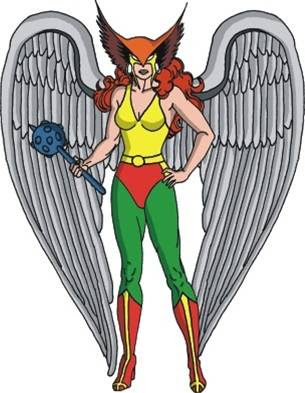 In the show, Shayera comes from the planet Thanagar where she was a policewoman. It is later learned that she was actually a spy in a mission that would eventually lead to the invasion of Earth by the Thanagarian army. Fortunately for everyone on Earth, Hawkgirl switched teams and helped her Justice League peers to fight the alien fleet. Knowing that her teammates would never trust her again, she left the league, but later on, was invited back by Superman, and calling herself no longer Hawkgirl, but simply Shayera, the winged wonder returned as one of the big seven of the JLoA. June 27th: Happy wedding anniversary, Mera! 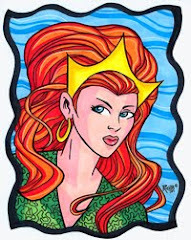 According to the 1976 DC Comics Calendar, June 27th marks the wedding anniversary of Queen Mera and King Arthur of Atlantis. This was a very special event, not only for the bride and groom, but also for the Justice League of America members, who were guests of honor along with the Teen Titans. These were very bright times for the royal couple. Here, some pictures from the wedding album. The bride and guest Pricess Diana of Paradise Island. Mera and guests The Atom, Wonder Woman, Green Arrow, Flash and Batman. 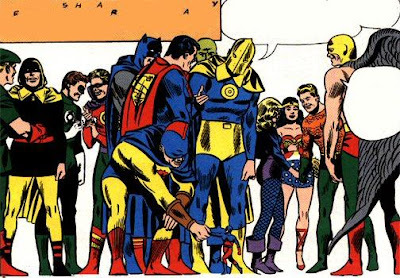 Aquaman disappeared for a little while; everyone was concerned that he got cold feet; but he was actually in a little mission with the Teen Titans, and made it back just in time for the ceremony. Art by the great George Pérez. And hereby they are declared husband and wife... King and Queen. Classic art by Nick Cardy. Another picture from the ceremony. Royal, indeed. Brought to life by Alex Ross. Mera starred in several ads for the Hostess fruit pies. These ads were designed in a comic book adventure format. Today, we present the first one in the series; the story is titled "Aquaman and the space capsule". One day Aquaman, Mera,and Aqualad receive an alert from their monitor. There is an object about to crash near Atlantis! Mera thinks it's a meteor. Aquaman and Aqualad go to investigate, and find a U.S. space capsule sinking into the bottom of the ocean. The king of the seven seas uses his telepathic powers to have some porpoises bring the capsule to Atlantis. It ends up being that the visitors are actually astronauts from the surface, who think they have arrived to some underwater world. Aquaman tries to convice them that they are from Earth as well, and Mera brings them proof... a tray with hostess fruit pies! Once the misunderstanding has been clarified, the austronauts enjoy their delicious fruit pies. 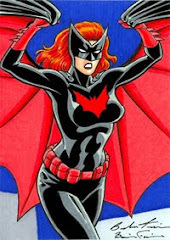 Just something to make up for the days dedicated to Hawkwoman's birthday. This is a reworked 60's ad with images of the IDEAL Batgirl and Mera dolls. The art was in the boxes as well. 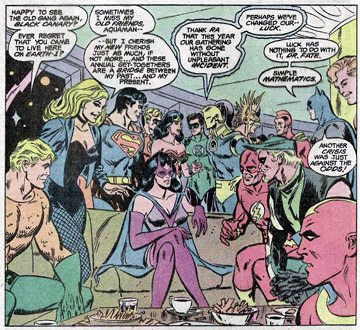 The Justice League and the Justice Society get together to celebrate Hawkwoman's birthday! Here's everyone having a good time, catching up, having some well deserved fun. June 19th marks the spot... it's Shayera Thal's birthday! The winged wonder from Thanagar celebrates her 47th birthday (in comic book and Earth years she shoud be somewhere in her mid-30s) with her friends from the Justice League and the Justice Society. Tomorrow: pictures from the party. What is the JSA doing here? What is the Justice Society from Earth-two doing here? What's the reason for this gathering? If you find the clue, you'll know why! Why is the JLA cleaning up ? 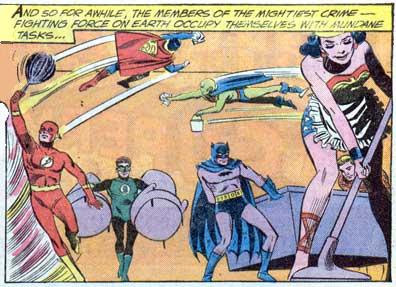 Why are the senior members of the Justice League of America cleaning and decorating? You wish! 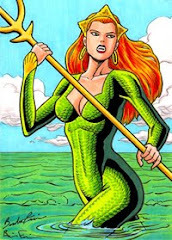 This never-materialized dream is a great Mera custom action figure that would complemet the aqua-family set. In this picture, the beautiful redhead is accompanied by King Arthur of Atlantis and young Garth. (Aquaman in Aqualad in case you have lived in Mars the last 100 years). On the second install of the DC Direct action figures, we have the original Batgirl, Barbara Gordon. 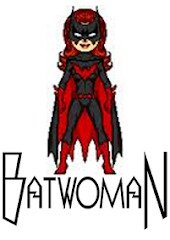 The figure measures approximately 6" tall and includes a Batarang and a 12" long climbing string batrope. She comes together in a set with the clown prince of crime: The Joker. I am lucky enough to have one of these. About a year ago I was at some obscure comic book store, and there she was... in all her second-hand-winged-glory! Finding one of these sets brand new co$t$ an arm and a leg; but I got the Hawkwoman figure for only $8 and I love it. It is perfect! 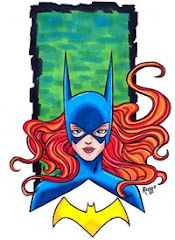 Batgirl caricature by Ian J. Beautiful, smart, and dangerous. That's Batgirl. This semi-anime, semi-BTAS* sketch depicts the best qualities of the Gotham damsel. Fan art by Ian J. 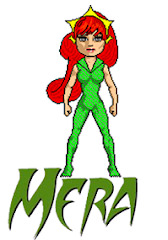 Why do I like Mera? Why do I like Hawkwoman? 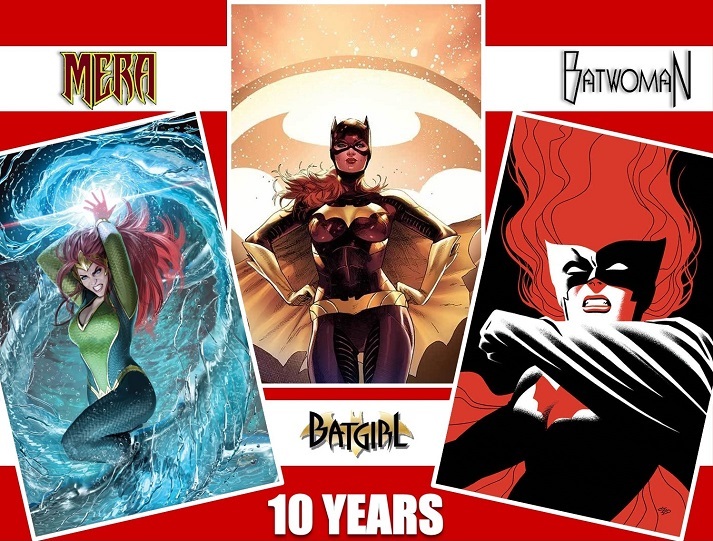 Why do I like Batgirl?